WEST LAFAYETTE, Ind. 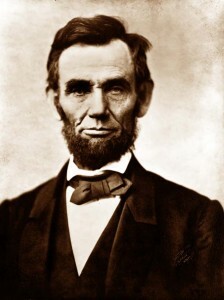 — The connections between presidents Barack Obama and Abraham Lincoln define Obama’s image today, but these associations also influence how Lincoln will continue to be remembered, says a Purdue University historian. Janney says one type of memory is called the collective memory. Collective memory refers to the ways in which different groups reconstruct the past by adapting historical facts to fit the present. When individuals look to the past, or their perceived sense of past, they often create a sense of community. For example, white southerners may still look to their region’s Confederate history to create a common bond, while those from Illinois may refer to themselves as from the “land of Lincoln.” They use the past to create a community among people in the present. Using historical facts to fill in the needs of the present in reconstructing the past creates a collective memory. For example, how people from the North and South remember Lincoln differs, and those differences, when expressed in each region’s monuments and memorials, create a sense of community for those who share a common past, she says. “Obama has consciously constructed his connections to Lincoln from announcing his campaign in Springfield to using Lincoln’s Bible during the inauguration,” Janney says. “Obama and his staff are hoping to use the nation’s collective memory to set the tone for this administration. Another type of memory is contested memory. Historians agree that memory isn’t something that just happens, but it’s creating something by determining what should be omitted or included in the historical record. Who contests these characteristics depends on the time and the group, Janney says.